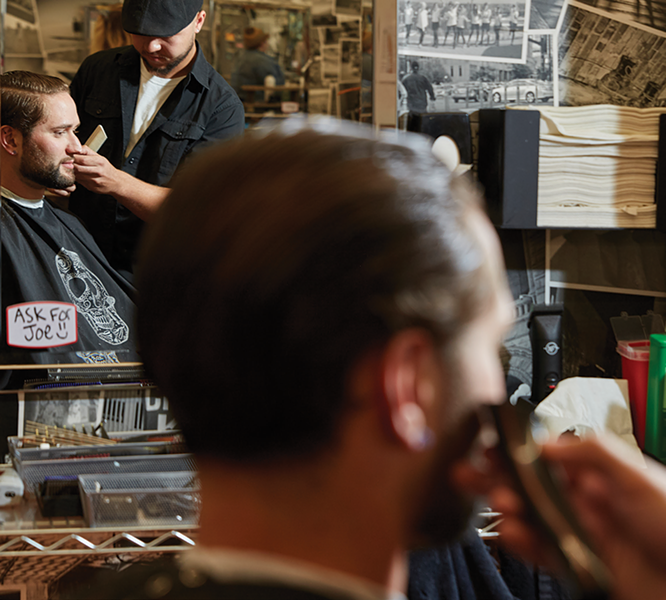 With nearly 20 years of experience, you could say Jed Beal knows exactly what goes into a good haircut, and what goes into building a good barber shop. Beal started Jed's in 2011, when he decided he wanted to create a shop that married classic charm with a clean, modern interior. Open seven days a week, Jed's now has three locations committed to making every customer feel pampered. 3. Salt Lake Barber Co.
Why walk the large halls of Barnes & Noble or purchase a book on Amazon when SLC is home to one of the coziest bookstores out there? The King's English Bookshop was started in 1977 by Betsy Burton and Ann Berman through their mutual love of good books and the classic bookshop. Currently, the shop not only hosts authors from all over the world but is also part of the Utah Humanities Book Festival. Opened in 2016 by Jasmine Gordon, Angelique Gordon and Sarah Skeps, A' La Mode does things a little differently in the world of boutiques. Not only can you visit the store and get the "fashionistas" there to style you, but you can also sign up for A' La Mode's by-mail styling service. All you have to do is fill out a survey and the shop will ship you a personalized style box set to fit you perfectly. Greg Gage started Black Cat Comics in 2004 with a mission to make a shop with the largest selection and a classic feel. He believes the focus on purely comics is what really sets his shop apart. "There's not many stores left any more," he says. "So it's nice to have a store that focuses just on that." Gage also invites local creators to share his shelves with their own work, and hosts large names from the comic book world at Black Cat's annual anniversary signings. Started by Vernon and Murriel Smith in 1955, Millcreek Gardens has a strong local connection to not only Millcreek but much of the valley. People drive from all over the Wasatch Front to look over the selection covering Millcreek's 3 ½ acres. The gardens also carry a large array of perennials, trees and supplies, setting it apart from other smaller shops. All dog owners have, at some point, given their dog a bath that went bad. Maybe your beloved canine made a break for it or gave you a bath in the process. At Paw Paw's, which opened in 2010, you can wash your dog in a tub just the right size and equipped with everything you need to make the experience positive—for both parties. And after their bath, you can reward your pet with high-quality, organic, grain-free and/or raw treats. 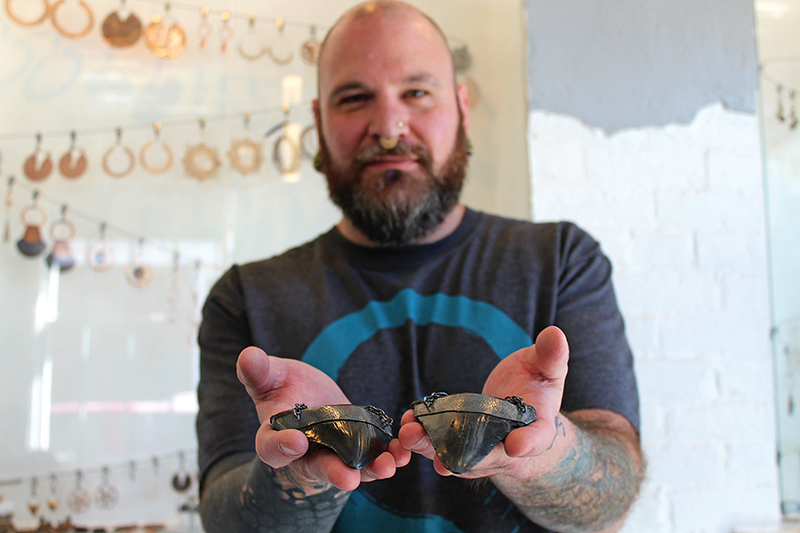 With 23 years of experience, Dustin Robbins has long been at the top of the piercing game in Utah. Whether at other shops or now at his own, he treats every client with respect and a calming demeanor, making your experience—dare I say—enjoyable. His shop, owned by him and his wife, Tara, is immaculate and offers free cleaning, checkups and jewelry changes. It's fitting that the best piercing studio in Utah was actually the first all-body piercing studio in the state. Curt Warren opened Koi in 1997, feeling nowhere else took a clean, professional approach. 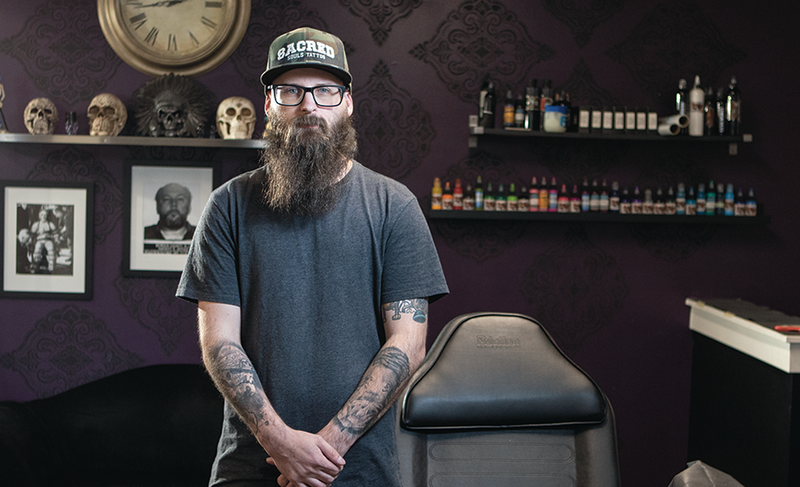 Warren, as well as Melissa Christensen (shop manager) and Patrick Bogdanich (senior piercer), all are members of the Association of Professional Piercers, so you know you're in good hands. With a long list of awards already under their belt, Lunatic Fringe isn't new to the competitive salon world. Business partners and husband-and-wife team Shawn Trujillo and Angie Katsanevas started the Lunatic Fringe brand in 1999. They have a strong list of values that underpin operations in 10 locations spanning Utah, Idaho, Tennessee and Ohio. Opened in 2013, iVape's strength lies not only in its helpful and knowledgeable staff but in its incredibly large selection. The shop carries more than 100 mods and more than 250 flavors. Making a choice might be hard here, but at least you only have to make one stop for everything you could want. Alex Ogilvie, shop manager, says his favorite part of iVape is having "The only shop in the state with an outdoor flavor bar." Tucked away in the heart of Sugar House, Yellow Rose was opened in 2010 by Luis Flores. Shop manager Briana Brunelle, who has worked for the company for five years, says it's the "quality of work that [the artists] put out" that keeps customers coming back. Now employing seven artists, Yellow Rose has the professionalism and creativity to make that next tattoo pop. There are a lot of reasons IconoCLAD has been Salt Lake's favorite shop since 2014. For some, the shop cats Bugsy and Lola brings them back; for others, it's the great price on rad clothing. You can find everything from day-to-day wear to festival fashion—all at shockingly low prices. Everything you find here is handpicked for style, so you know you can't go wrong. Even stop by for those stylish pollution masks during fire or inversion season.